I’ve just taken a test drive of Apple’s Ping and I am totally underwhelmed. 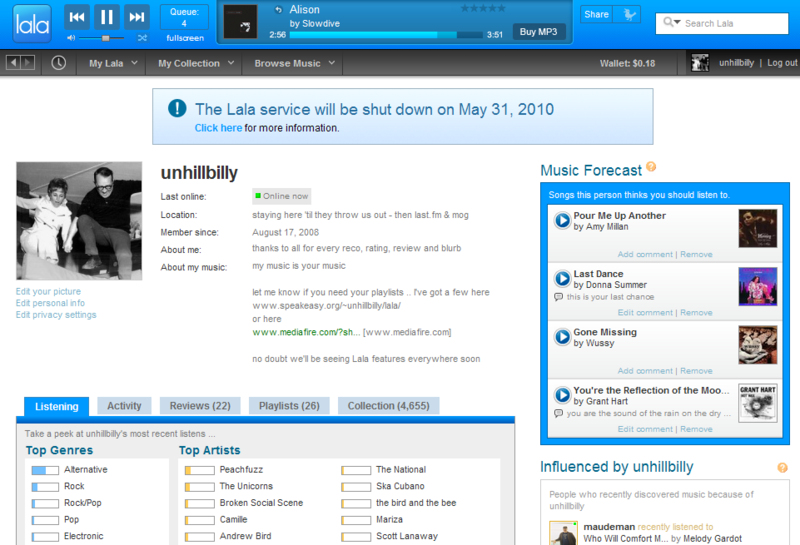 As a user of Pandora, Rhapsody, Last.FM, MOG, and most significantly, Lala, I am completely befuddled. Why in the world would only iTunes purchase history be considered in user profile creation and not the wealth of data contained in the user’s iTunes library? There are play counts, ratings, playlists, genre tags, BPM annotations and so forth. No, really, can someone explain this to me? As it stands, Ping is utterly worthless to the musically driven social net citizen and is not likely to perform a meaningful social networking function in Apple’s marquee media store. Surely Apple must realize how scale-free social networks are formed. Without well-connected nodes capable of generating quality content, and without those nodes’ mass of preference data there is nothing going on here. Had my library and playlists been pulled in I just might have cared enough to write some reviews, invite my tribe and hang around long enough for a little more Lala DNA to show up. Not a chance now. In summary, dear Apple, compare and contrast how hard Last.FM works to import and export user music preferences.